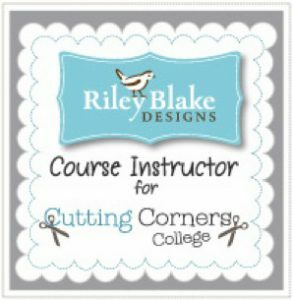 Today my newest tutorial for Riley Blake’s Cutting Corners College is out. 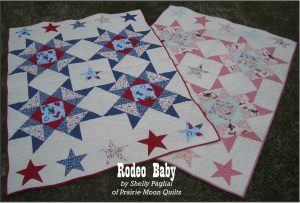 It’s a free pattern for a baby quilt. I used pieces from Samantha Walker’s new line called “Rodeo Rider”, and made a boy version and a girl version. 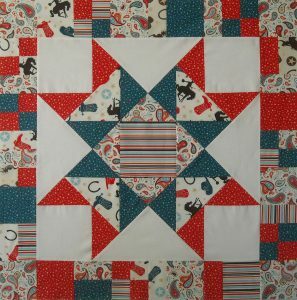 I used scraps from some of Samantha’s previous lines, and made one block into this cute little table topper, which could also be used as a wall hanging. You can read all about it, see more pictures, get all the info, and download the free pattern HERE. Enjoy! Those are really cute Shelly !!!! What a great pattern. Thank you. I love the fabrics in both. What a great pattern! 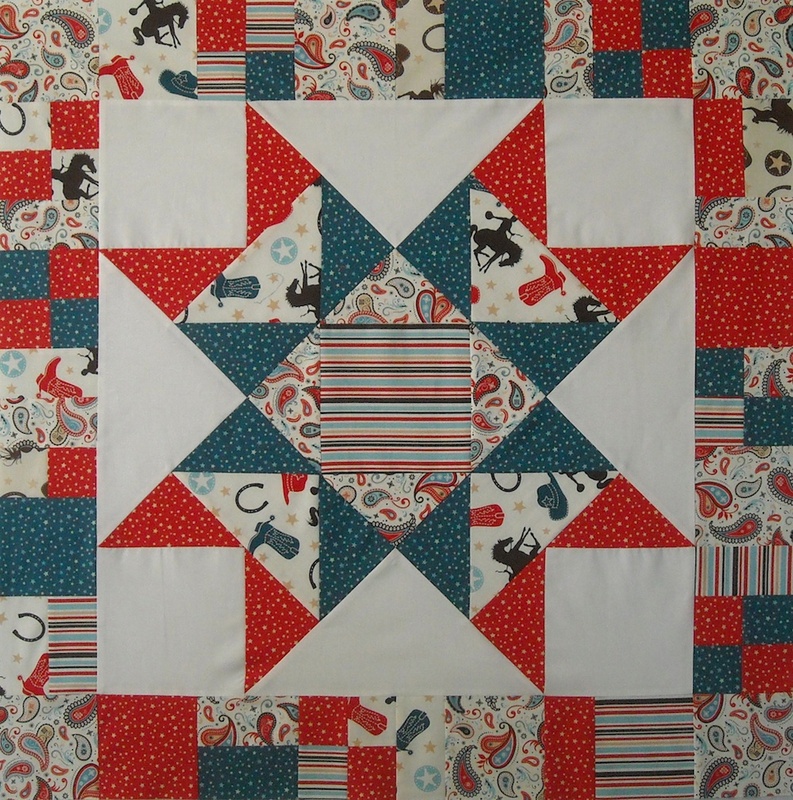 I am going to adapt it for the VA lap quilts I make and have to be 36×48. I’ll make 2 stars and 2 6″ vertical rows of friendship stars for my version. So glad you shared this! Thank you for sharing this one. I just love it! I’m making good progress on my UFOs and now it looks like the new quilts to make list just got longer…super cute quilt Shelly! Lots of little ranch babies slated to arrive around here this year. It’s wonderful!! The recipient of either of those quilts will be one lucky cowbabe!